The program started with the breakfast after which welcome address was given by Mr. Shankar. Mr. Punkaj spoke on the ICTRIMS conference he attended which was held in Kochi. Dr. Shashikanth rendered a speech on Integrated Medicines, Yoga & Ayurveda to the audience. 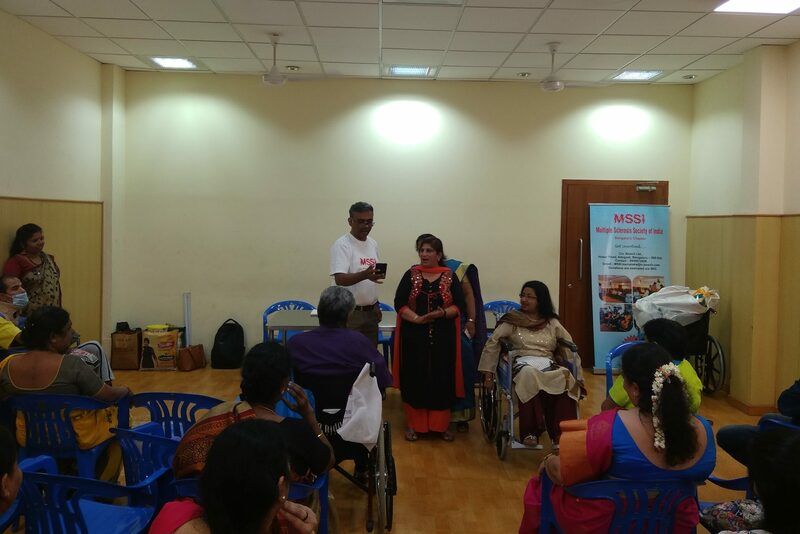 After that Mrs. Geetha Balaji & Mrs. Kala performed a skit which portrayed the difficulties of an MS person facing bladder issues & the problem faced while using a public toilet. This skit was rendered in a jovial manner where everyone enjoyed. 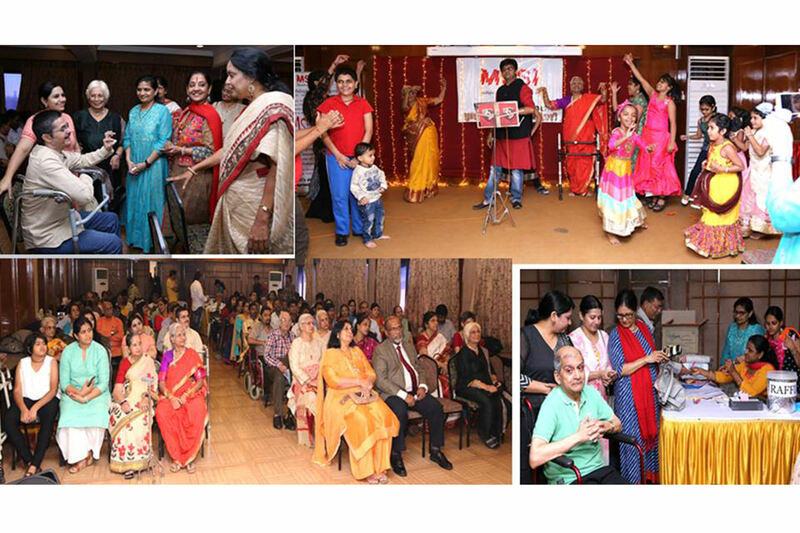 Then Ms. Kavitha Jayaram & MS person Megha’s mother rendered songs as the part of Diwali celebrations. The audience joined in the song along with them. Homemade chocolates prepared by Megha was distributed to everyone present. 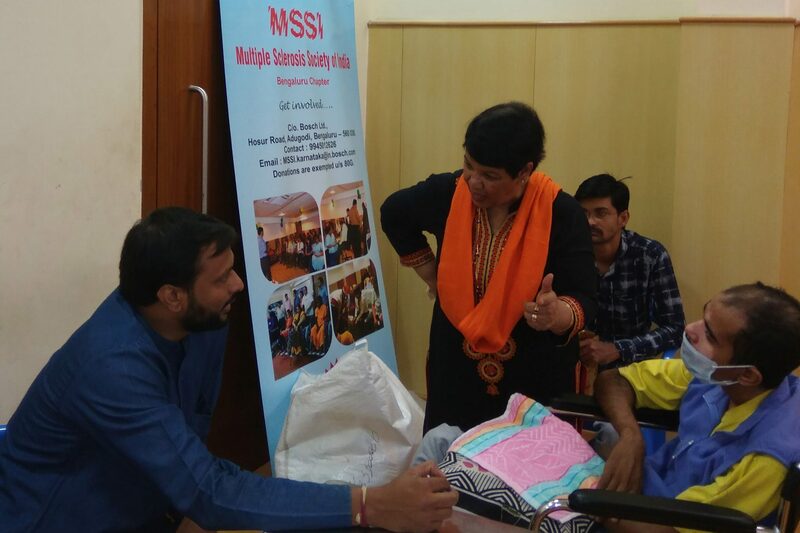 Shankar announced about the introduction of special services from MSSI like Doctor’s home visit to each MS person’s houses monthly once on a rotational basis. Requested everyone to inform Rani like whoever is interested to give the names so that necessary arrangements can be done accordingly. MS persons were very interested in this initiative & started giving the names. 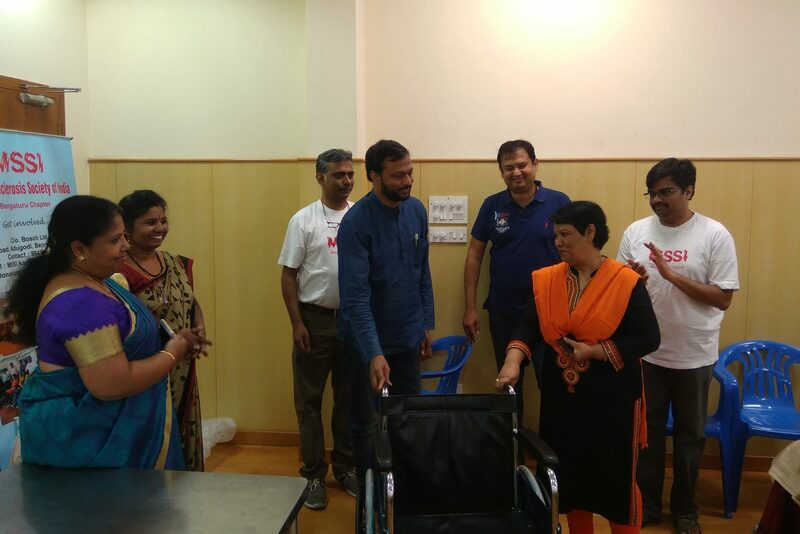 Dr. Shashikanth handed over a wheelchair to MS person Leullin Leo & Lalitha handed over Adult Diapers to Archana’s father which were donated by MSSI. 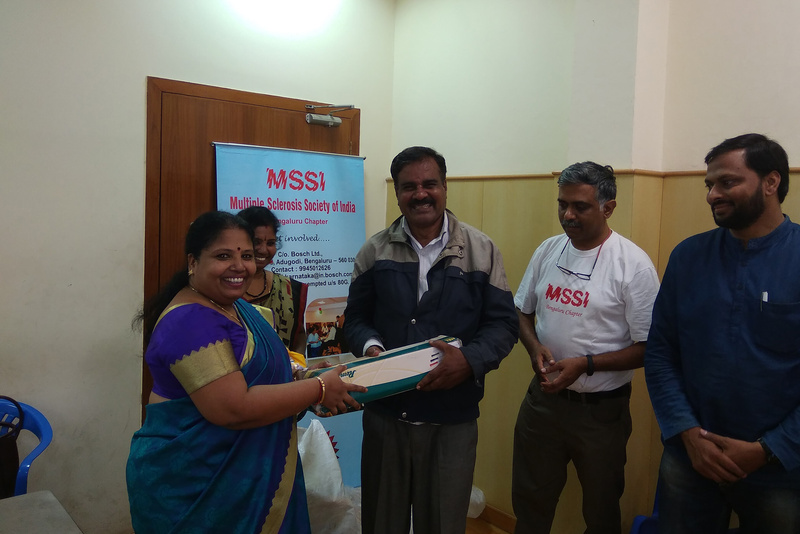 As a part of Diwali celebration, MSSI distributed sweets and Diyas to all MS persons. Finally, individual consultations were held by Dr. Shashikant & Physiotherapy consultations by Mr. Sudeep & Mr. Safraz.